Through Timeless Food, Engbers is committed to providing diners unique and accessible dining experiences. The company aspires to recreate classic dishes using new techniques coupled with Engbers' own creative twists. For this particular "Back to the Future" pop up dinner, Engbers focused on presenting a re-invention of traditional favourites of the past, while using organic and sustainable sources where possible. The classic, vintage table settings were a perfect backdrop for Timeless Food's debut dinner. Guests can opt for wine pairings ($22), craft beer pairings ($12), or wines by the glass ($10). Chef Deron Engbers and Toronto Pop Up's founder, Juliana Conceicao. Chef Engbers' interpretations and twists on traditional dishes on Sunday were an absolute delight. Both the Frisee salad (a classic French bistro salad normally done with a regular poached egg) and the Bouillabaise (a traditional French fish stew) were updated with clever and contemporary twists. Admittedly, I've never had the traditional German stew but Engbers' take on the Hasenpfeffer was excellent just the same. 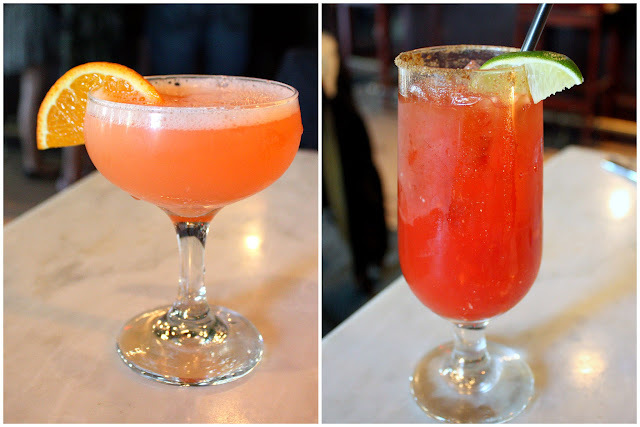 I thought the oysters with homemade Clamato ice, topped with an actual clam was simply ingenious! Last, and certainly not least, chef Engbers' creativity really shines though on the Bordelaise course. Taking bone marrow and shallots, components of a borderlaise (a classic French sauce) and mixing in kidney beans, Engbers created a delicious croquette which was loaded with flavour and textures. Brilliant. 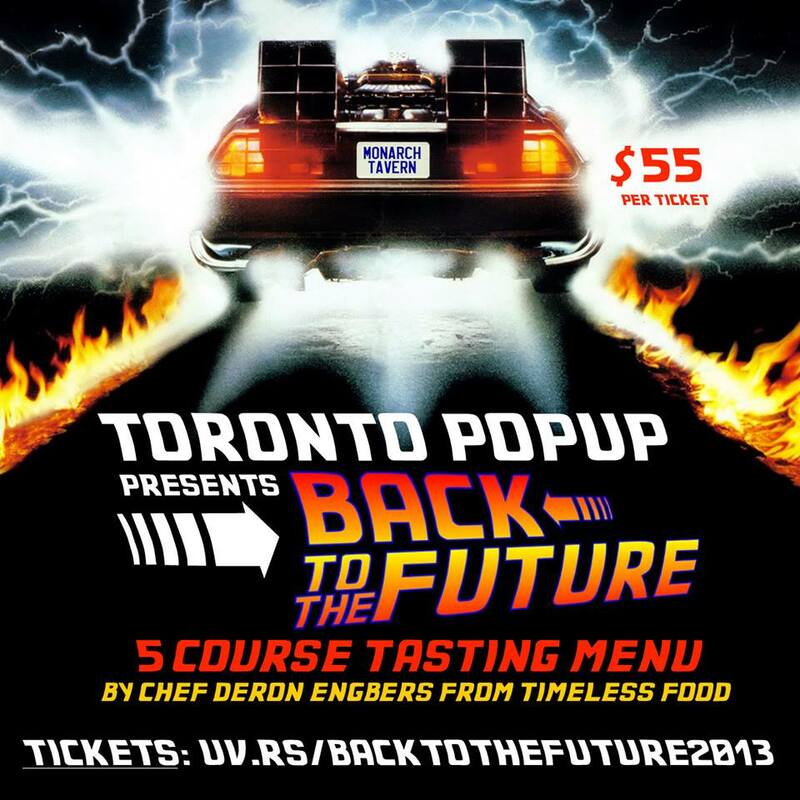 If this Toronto Pop Up dinner is any indication of what's to come for Timeless Food, then we are definitely up for a very tasty ride.